Clapham, located in London’s SW4 postcode, is a place to consider when moving home. It’s has a number of shopping areas; including it’s High Street which is home to an abundance of modern shops, and there’s also Clapham Old Town, where you can find more traditional stores. It’s also a place of beauty and class, since it’s home to Clapham Common – a two hundred and twenty two acre park with plenty of sights to behold. Team this with its proximity to Chelsea, and you can see why Clapham is a classy place to live. All of these materials (with the exception of the bin bags) should be purchased from a specialist retailer. Don’t skimp on the quality, especially on the boxes and tape – you’ll want all of your packaged items to stay in the boxes, and to do this, the boxes will have to stay in one, sturdy piece. Make sure you have a liberal amount of bubble wrap and packing peanuts too, especially if you’re packing a lot of valuables away. The labels and permanent markers will be used to mark each box, so you can designate what items will go in each. For example, you’ll want to put all of your living room items in boxes which contain other living room items. That way, when you’re unpacking, you’ll know where everything is. The plastic bags are simply used for storing cloth based items such as clothes and blankets. For the most part (unless you’re dealing with high class formal wear) clothes and blankets won’t need the same protection as breakable items, so you can store them in plastic bags to save valuable space. 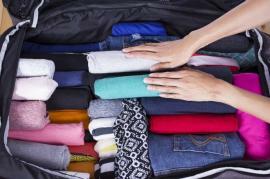 Now that you’ve got all of the materials you need, it’s time to start packing. You should start this process a week or so in advance, and start with the items that you’re least likely to be using, that way, your normal living arrangements won’t be interrupted. When putting everything into boxes, make sure the heavier objects are at the bottom of each box, so they don’t squash and ruin the more delicate items. Everything that is the least bit fragile needs to be wrapped in bubble wrap. One or two layers should be enough for normal items, but for the more valuable things like the ornaments and crockery, you should use more – four or five layers should do the trick. Be sure to fill the empty spaces with packing peanuts or packing paper, so your goods don’t move about and bump into each other when they’re being transported.